Garden Bread is a food company that produces a variety of products including breads, biscuits, cookies, and others. We worked on a concept package for one of their products – Coconut Cookies. The concept is a simple one, package the product into a recyclable container that displays branding more prominently in supermarket shelves. 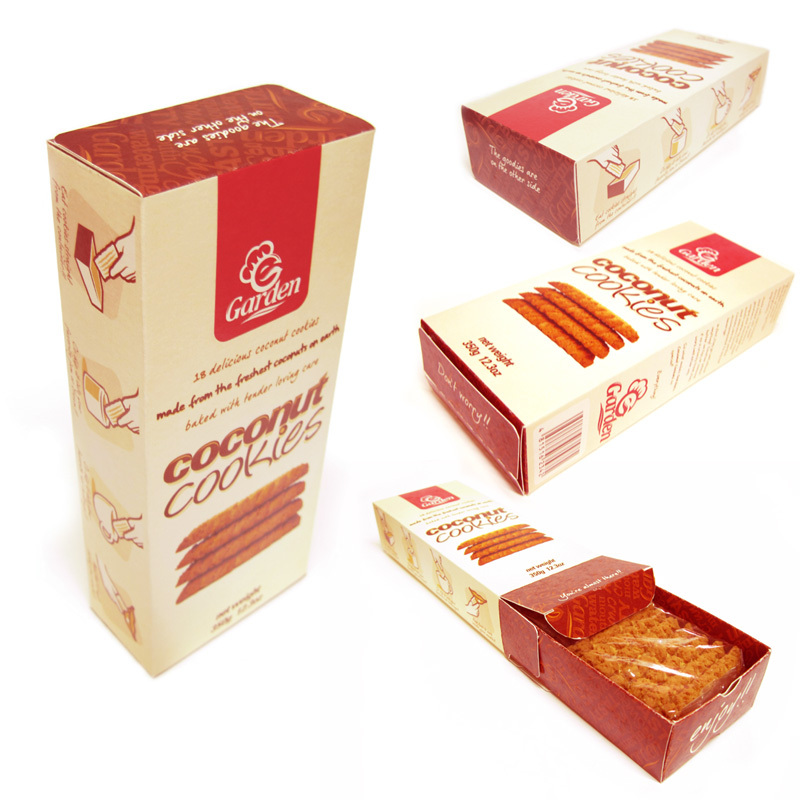 Concept packaging designed and developed for Garden Bread Coconut Cookies.